Upon arrival to Cusco Airport, we will arrange reception and transportation to the hotel where you will receive an aromatic coca tea to help your body and heart with the altitude, you will have the morning free to rest. In the afternoon you will depart on a guided city tour, where you will visit Cusco’s main square, Cathedral, the Koricancha (temple of the sun) and in addition we will make a route bordering archaeological centers like Sacsayhuaman Fortress, Q'enko, Puka Pukara and Tambomachay. After the tour, enjoy a quiet evening in your hotel, or explore the city at your own pace. Breakfast at your hotel. Full day excursion to the Sacred Valley visiting: The ruins of Pisac. Pisac is located at the entrance of the Sacred Valley followed by Ollantaytambo. 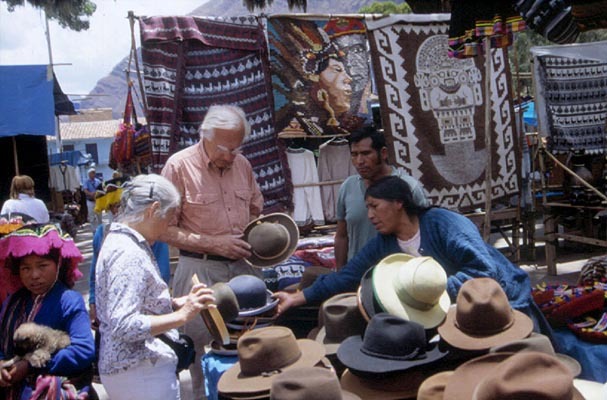 Pisac is a pretty village and has plenty of small handicraft shops and is worth a visit on any day of the week as is a good place to buy the local ceramics including a huge and varied collection of hand-painted souvenirs. You will have time to have lunch in a typical restaurant in Urubamba then we continue with Ollantaytambo which is an attractive little town located at the western end of the Sacred Valley, considered the oldest town continuously occupied in the American continent, and is located at the foot of some spectacular Inca ruins which protected the strategic entrance to the lower Urubamba Valley. The narrow streets of Ollantaytambo, along with their channels that have not varied from the Inca time, and evoke their ancestral inheritance. Early breakfast and pickup to go the train station to depart to Machu Picchu, the trip takes about 2 hours. During the trip we will have an amazing view of the landscapes of the Sacred Valley of Urubamba and the Amazon rainforest providing you with a hint of how much Peru has to offer. Upon arrival to the little town of Aguas Calientes you will take a bus ride up towards Machu Picchu the “Lost City of the Incas”, where you will meet your guide, for a tour through this huge Historical Sanctuary visiting the Main Plaza, the Circular Tower, the Sacred Sun Dial, the Royal Quarters, the Temple of the Three Windows and various burial grounds. Following the tour you will have some free time to explore the ruins at your own pace. Return to the town of Aguas Calientes to take the train that will take you back to the city of Cusco. Reception at the train station and transfer to your accommodation. Surrounded entirely by glass and wagons with large panoramic windows offering incomparable scenic views and numerous opportunities to capture amazing pictures, Vistadome travelers feel connected and part of the impressive landscape of Peru. The Vistadome also has air conditioning and heating, leather seats that adjust the body to provide comfort and relaxation during the entire trip and has a different service, which allows the visitor to be immersed and feel the Andean culture through its landscapes, music, dance and even food carefully prepared with local ingredients. Breakfast and transportation will be provided to go the airport. ( Airfare is not included in package price.) (Breakfast). INCLUDES: All hotel and lodge accommodations based on double or single occupancy. All scheduled transportation. All transfers. All scheduled excursions with English-speaking guide services. All entrance fees. Meals as specified in the itinerary. IMPORTANT: Hotels mentioned in the itinerary may change with another one of similar category and service, depending on availability. If a change is necessary, your travel advisor will advice you in advance. 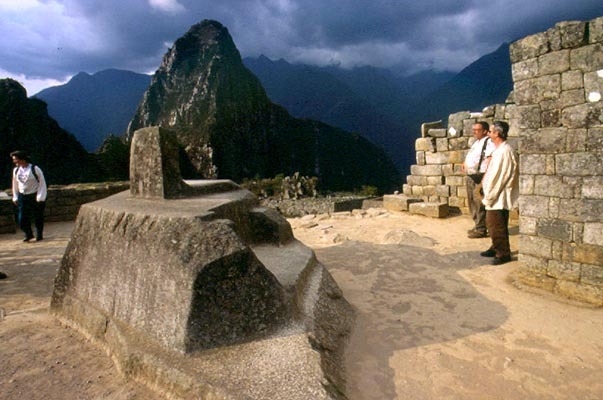 4-Day Cusco & Machu Picchu package.